There are a lot of locksmith companies in the country that compete in the market today. Simi Valley locksmith Service Company is only one of the few companies that you can find in California that can help you with any of your needs. No one want to be on the receiving end and these days theft and other similar issues are serious concerns, it’s better to be safe than sorry. Simi Valley locksmith is known for being able to repair or replace an array of locks and bolts. If you have any trouble with a key or bolt, you’ll be glad to know that we can fix and replace knob, wall-mounted, vending, padlocks, euro profile cylinders, furniture locks; deadbolts, mortise, cam, interchangeable core (IC) cylinders, and lever handle locks. Given the array of locks that we can work with, you are pretty safe in knowing that we know what we are talking about and that you know that your doors can be secured for whatever purpose you may have. 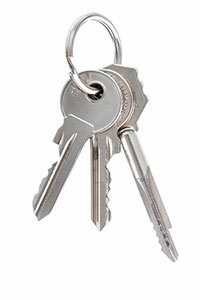 Aside from the typical locks, we are also known for our mobile service. A mobile company can help any driver that has been locked out of his car without a backup key or anyone to help them at any point of the day. Thankfully, California is a warm enough place and freezing to death is not a fear for folks here. Although that doesn’t mean that it will not be a bad experience or situation to be stuck outside your car when you need to be somewhere else. With the irony of innovation, some new cars don’t even have visible keyholes for safety measure against car napping. Unfortunately, when you get locked out of your car of this type, you’re pretty much doomed. Well, unless you don’t have the number for the mobile 24 hour Locksmith Company. The mobile locksmith service can get to you wherever you are stranded and can help you fix up your problem in almost no time. For whatever reason you got locked out, Simi Valley can help you with key repair, car locks change, chip car keys, key less entry cars, replacing car keys and ignition car keys. Of course we have different costs for different types of repair or replacement, but you can rest assured that we will not charge unreasonable prices for your needs. In case you get locked out of your house or in need of new key, we also cater to rekeying, making a master key, replacing, installation and fixing lock. If it couldn’t be helped and the door has been broken down or forcefully opened, we can also make repairs and replace those kinds of locks as well. We are updated with the types of locks we can supply and this includes Medeco, Security, Kwikset, Schlage and Masterlock. If you are interested in our services and would want to contact us, you check our schedule on website for the week then call them to set an appointment.